Eccentric exercises are the exercises where lengthening of muscle is taking place in order to control the movement. For e.g., when you do heel raise our calf muscle shortens to raise your heels but it lengthens to control your descent phase. This lowering phase is an eccentric contraction. Downhill running, plyometric drills are activities involving eccentric contraction. 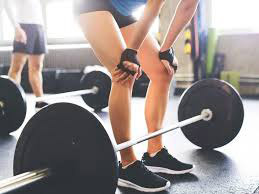 There is a difference between Acute muscle soreness and Delayed onset of muscle soreness.Acute Muscle soreness is the pain felt in the muscles during or immediately after the strenuous exercise whereas in DOMS it is after several hours to days. 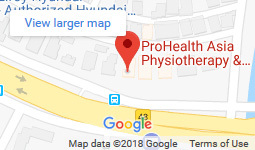 In order to know more about this you can come to our centre Prohealth Asia in Delhi and consult our expert physiotherapists. The exact cause of DOMS is not known, However it is thought to be caused by the micro tears of the muscle fibers. The extent of soreness will depend upon the type of exercise you have done and for how long. When microtrauma occurs there is an inflammatory response that leads to electrolyte shift and fluid imbalance. Creatine Kinase and Lactic Acid dehydrogenase are the biochemical markers found in the blood of DOMS sufferers which are the markers in muscle fibre disruption. 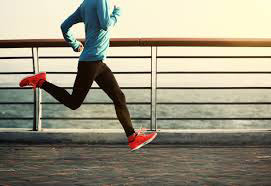 The normal pattern and function is impaired in the people suffering from DOMS and it can attributed to the altered firing pattern, swelling and pain after the accustomed exercises. (Black et al 2008, Cleak et al 1992, MacIntyre et al 2001, Cheung et al 2003, Dutto and Braun 2004, Paschalis 2007). Expert and specialized physiotherapists from Prohealth Asia can guide and help you to make an individualised plan for strengthening your muscles in a right manner. The soreness is described as a dull aching pain in the affected muscle group and it is often combined with stiffness and tenderness over that area. Normally at rest there is no pain it can only be felt when you stretch that muscle or that muscle is put under pressure. Sometimes it differ among individuals the amount of soreness and also on the type of exercises they did. The passive stretching gives more pain and might increase the symptoms. But the good thing is once you start moving and doing exercises you will feel less sore and this soreness will fade away in a day or two. Learn more about Active and passive stretching from our physios at Prohealth Asia. It takes time for a body to adapt to the exercises and progression so GO SLOW and progress according to your body as every individual is different and so is their response to the exercises. Increase your sets, reps and weights gradually and progressively. Take account of eccentric exercise you are including in your workouts. You can take help from our physiotherapists at Prohealth Asia to build a plan for you. Make sure you are doing proper COOL DOWN. We generally do the warm up but forget to do the cool down which is again equally important for recovery. Mostly DOMS gradually don’t last for long and subsides on its own within 1-3 days. The intensity of pain and soreness still persists and not going down after 48 hours post exercise. You experienced the pain during or immediately after the exercise and it was a sudden onset. Swelling present around the joints.